VisitBasis, one of the leading retail mobile data collection software packages in the market, has just introduced exciting and useful new features, further benefiting its users. Says Sergey Gorbunov, CEO of VisitBasis: "Our software is always evolving. We are consistently developing our products as we closely watch and ask about our customer needs." 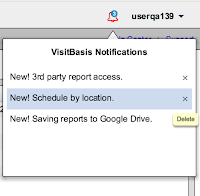 In previous versions, VisitBasis already had implemented the integration of its scheduling features with Google Calendar. Now, besides downloading files, users can also save the reports generated by VisitBasis on their Google Drive, allowing them to immediately make use of Google's file sharing and editing tools. It is clear that not only the professionals actually executing retail data collection efforts are interested in viewing their results. Sometimes there are many stakeholders in a merchandising or retail audit project, such as internal and external clients, that need to have frequent access to project status but that should not see database details. For this common scenario, VisitBasis has opened third-party access to its reporting tool, in addition to already available VisitBasis Analytics and visit summary tools. 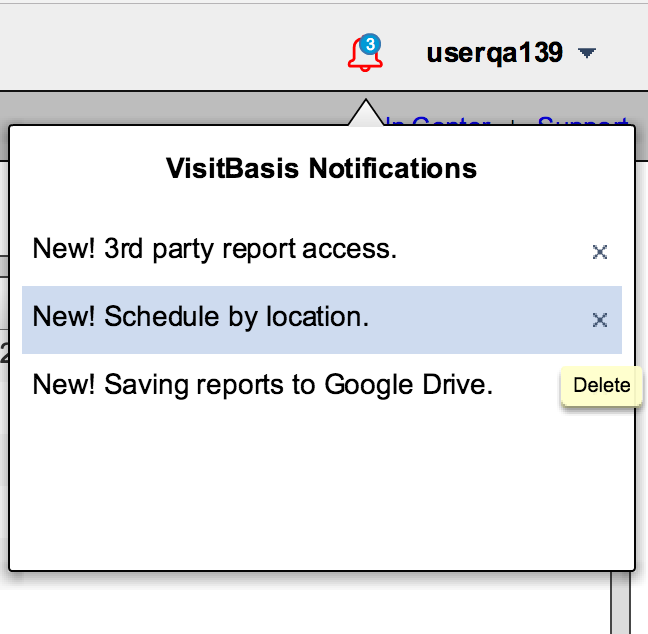 VisitBasis now tells you automatically, on the admin interface screen, about new features and system updates. Interested in learning more about VisitBasis? Sign up today for a free trial or schedule a custom online demo!